The place is situated on the peninsula, surrounded by 34 km long coastline. The coastline definitively provides everyone what they are looking for; urban beaches at VRSI-MULO and VRSI-ZUKVE, swimming by the pine wood “Punta Velebit”, sandy beach ”Ričina” at the Jasenovo bay and many hidden bays and beautiful beaches and caves , suitable for an ideal relaxing vacation far from overcrowded places. There are also part of the Vrsi two small and beautiful islands Mišljak and Zečevo. 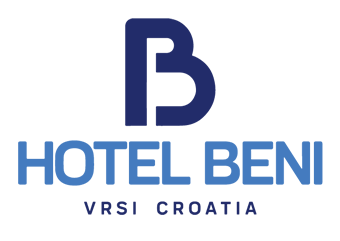 We are inviting you to find your ideal beach in Vrsi. Apart from tourist resources Vrsi has rich history and many monumental unique settlements. Vrsi got it’s name after location on the altitude (Croatian “Vrsi” is plural of the word altitude), and this territory has been inhabitated over 10000 years. 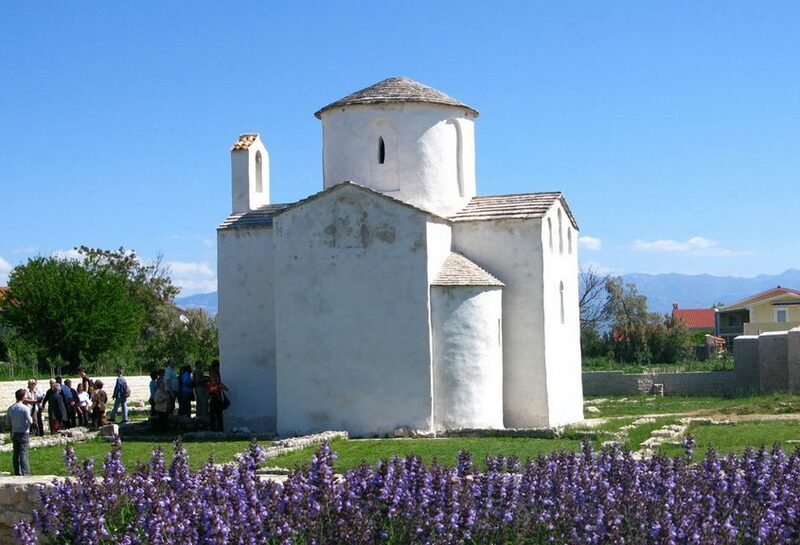 There were 4 settlements on the territory of Vrsi till 16 th century: Church St.Toma, Seline, Jasenovo and Vrsi. There are still churches and their remains. Church of St. Jakov, the Romanesque church of St. Lovre, parish church of St. Mihovil. 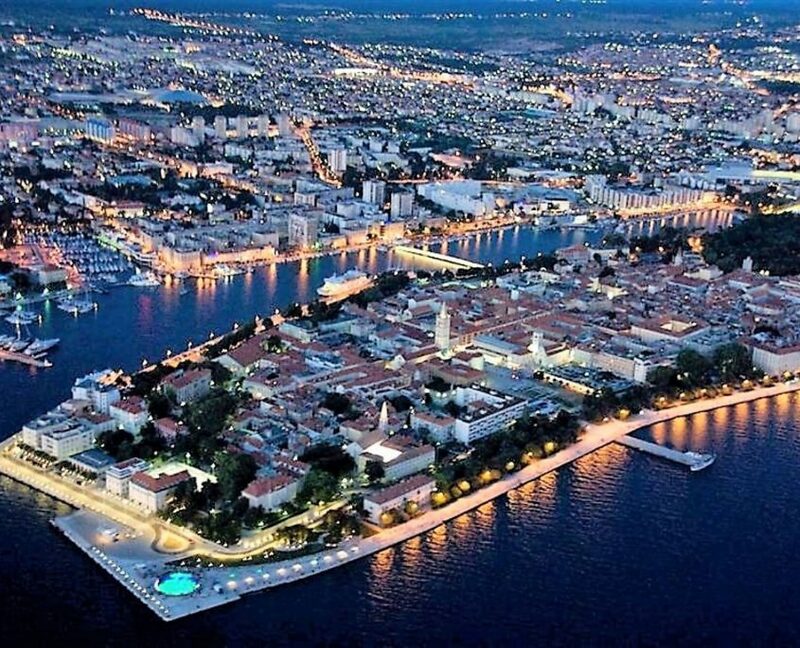 Zadar is a three thousand years old city and one of the most beautiful historical cities in this part of the world. 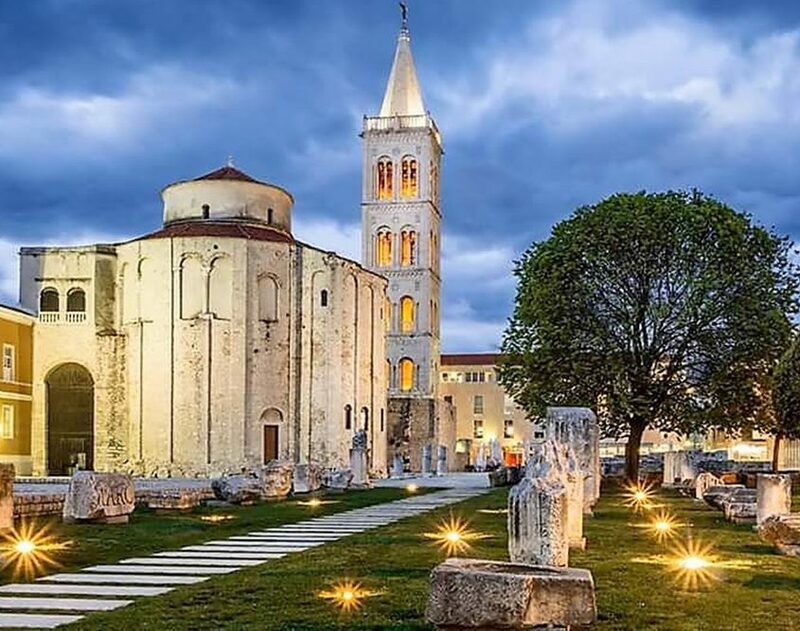 The city boasts its rich archaeological and historical heritage as well as its world-renowned contemporary architectural installations (the Sea Organ, the Greeting to the Sun), which make it one of the most attractive and desirable tourist destination on the Adriatic coast. Zadar was voted the best European destination for 2016 thanks to its many historical and natural attractions and a number of cultural manifestations throughout the year, such as: Tuna, Sushi & Wine Festival, the Carnival, St. Valentine’s Day celebration, Škraping, Zadar Night Run, Wings for Life World Run Zadar, Zadar’s Summer Theatre Festival, Musical Evenings in St. Donatus, Festival of Contemporary Music, Zadar Film Festival, KalelargArt Street Art Festival, Zadar snova Urban Festival, Night of the Full Moon, Millenium Jump, Varoš Feast, and numerous other. The city has been frequently praised by the media as “the perfect city break in Croatia” (The Times), and “Croatia’s new capital of cool” (The Guardian). Zadar will most certainly capture you with its unique atmosphere and rich day- and night-life. Zadar is often referred to as the “big museum in the open” because of its numerous historical and archaeological venues, such as the Roman Forum, Church of St. Donatus, Cathedral of St. Anastasia, Church of St. Chrysogonus, the Benedictine Convent and Church of St. Mary, Church of Our Lady of Health, St Francis’ Convent and church, Convent and church of St. Michael, Church of St. Dominic, Church of St. Simon, remains of a church called Stomorica. Numerous exhibits from all periods of the city’s turbulent history are kept in the Archaeological Museum, the National Museum and its ethnographical department, Permanent Exhibition of Sacral Art Zlato i srebro Zadra, the Museum of Ancient Glass and the Rector’s Palace. Zadar’s Old Town was fortified during the Middle Ages and its walls, fortifications, and entrances nowadays represent a unique tourist attraction. The Sea Organ, a new urban installation, has attracted numerous tourists over the past few years. It is a place of relaxation and contemplation, where one can meditate listening to the unique music created by the waves while enjoying a spectacular view of the sea and the nearby islands. It is a place where people come to enjoy the sunset that Alfred Hitchcock referred to as “the most beautiful sunset in the world” almost half a century ago. The experience of the sunset in Zadar is enhanced by a unique installation called Greeting to the Sun, which is composed of three hundred multi-layered glass panels that absorb the Sun’s radiation throughout the day and reflect it back in the form of various light effects at night. 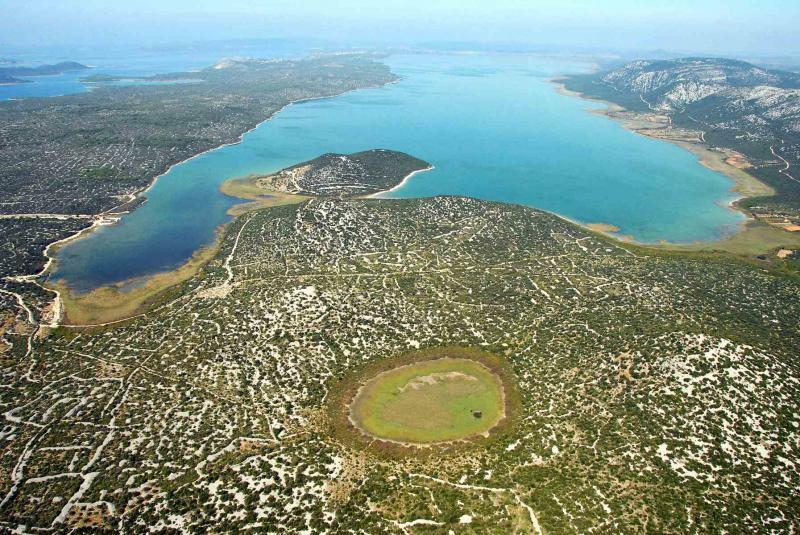 Nin’s historical center is located on an islet only 500 meters in diameter. Nin is situated in a lagoon, surrounded by natural sandy beaches and linked with the mainland by two stone bridges from the 16th century. According to historians the area of Nin appears to have been settled 10,000 years ago. The present-day town on the islet developed 3,000 years ago and is one of the older towns on the eastern Adriatic. 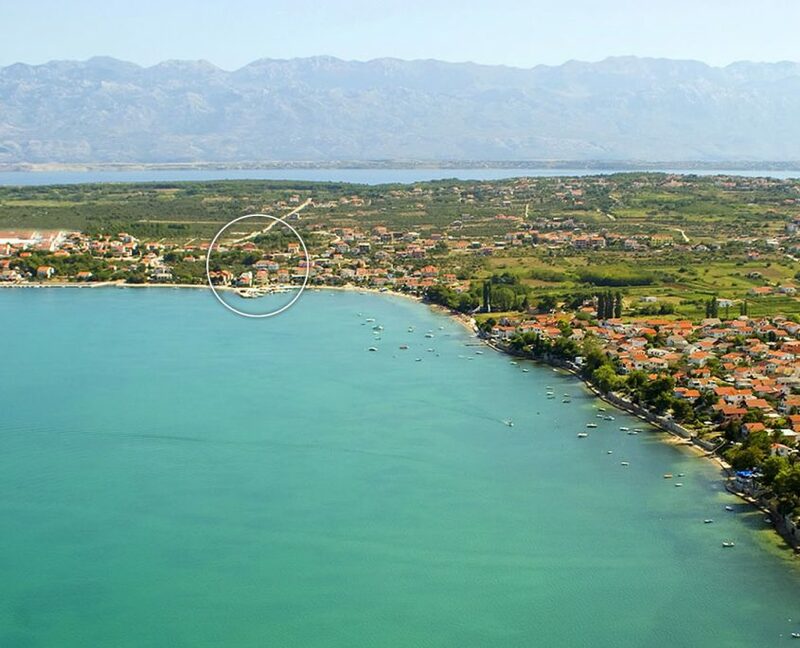 Nin was the first Croatian royal town, with its period of glory being from the 7th to the 13th centuries. In the 9th century Nin became the seat of the first Croatian bishop. Bishops from Nin played a great role in the country’s religious, a cultural and a political sense. Nin is relaxing place to unwind and enjoy the history. There’s a lot to do in and around the bay at Nin. Medical Mud Treatments, Salt Flats and great restaurants. 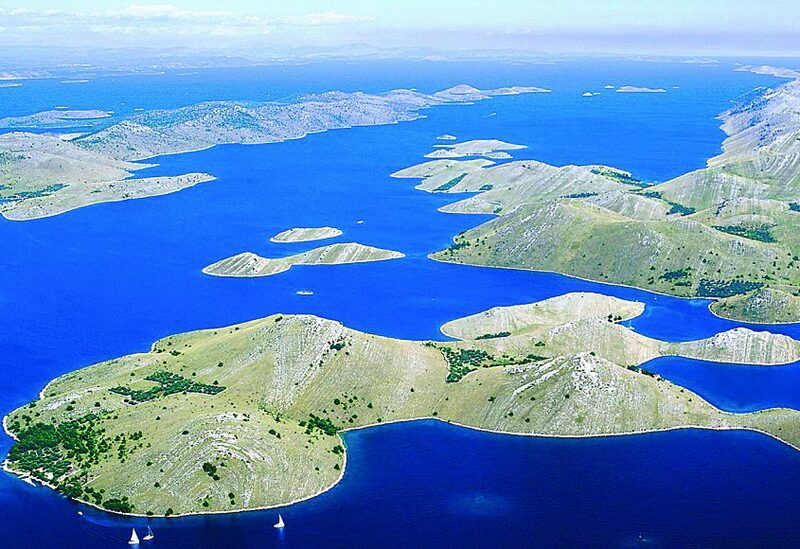 Kornati National Park can be reached by tourist ships on daily basis. Day trips to the islands provide an opportunity to enjoy the densest archipelago in the Mediterranean Sea, with over a hundred islands, islets, and rocks. The excursions usually include a visit to Telašćica Nature Park, a natural extension of Kornati and the biggest and the most secure cove in the Adriatic. It is perfect for bathing and enjoying healing properties of Slano jezero (a salt lake). The Kornati archipelago was proclaimed a national park in 1980 because of its natural beauty, archaeological sites, and biodiversity. Vransko jezero is the largest natural lake in Croatia. It is, in fact, a flooded karst field, a crypto-depression of exceptional ecological and scientific value. The lake and its surroundings are home to many species and a number of endemic herbs and animals. It is also an ornithological reservation and a habitat for over 235 bird species, wading birds in particular. During migration, the park is known to accommodate between 20,000 and 200,000 birds. The lake is also very rich in fish, which contributed to the development of fishing tourism and birdwatching. The NW part of the lake was declared a special ornithological reservation in 1983 and listed as an important ornithological area of Europe. 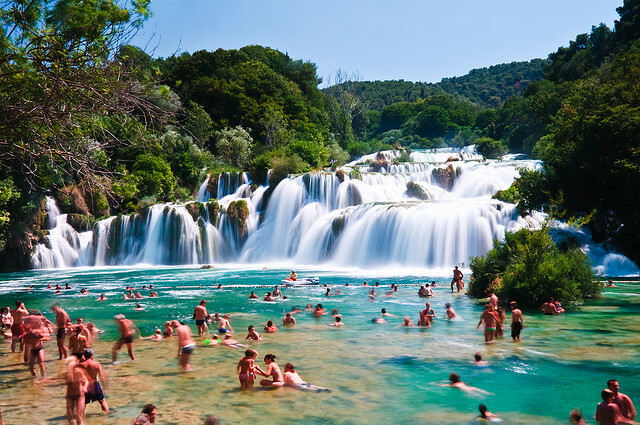 Main features of Krka National Park are travertine barriers and waterfalls of the Krka River. It is the largest travertine barrier complex in Europe. The most famous waterfall on the river, Skradinski buk, can be reached by boat. It is 46 metres high and consists of six cascades. The waterfall is particularly attractive in the spring and autumn, i.e. rainy season. The park is intersected with numerous hiking trails that wind through deep forests and across wooden bridges in immediate vicinity of the famous waterfalls. Visitors can bathe in the fresh waters under the waterfalls during the summer months. A safe zone on the river has been designed especially for bathing. A reconstruction of a traditional Dalmatian village on the river bank with old watermills, a typical home furnished with traditional items, and an exhibition of old trades are particularly interesting. If you decide to sail upstream, you will reach the most famous Franciscan monastery in Croatia, located on the Islet of Visovac, which is known as place of pilgrimage and religious tourism. A curiosity you probably did not know: the second oldest hydropower plant in the world is located on the Krka. It was built only three days after Croatian inventor Nikola Tesla had built the first hydropower plant on the Niagara River. 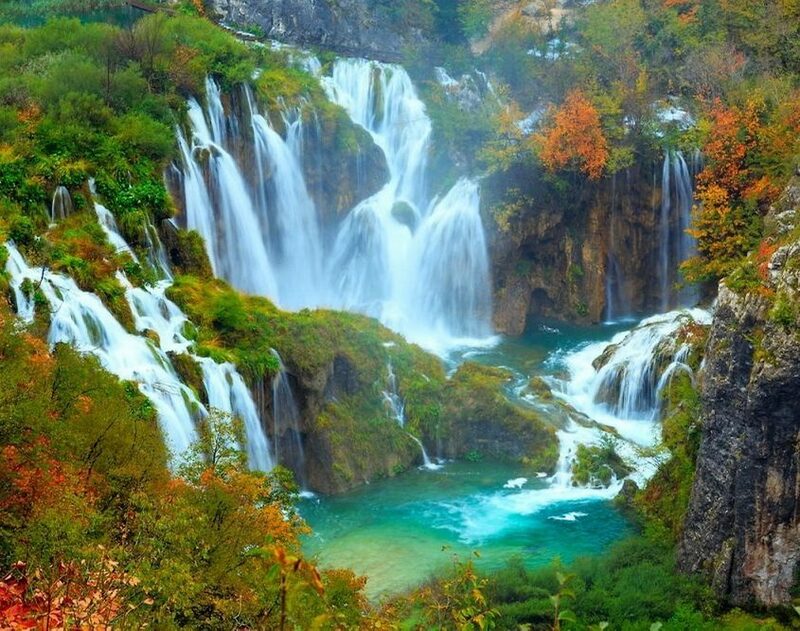 Plitvička jezera (Plitvice Lakes) is the oldest, the most famous, and the most frequented national park in Croatia. It is ranked among the most famous national parks in Europe. Its 96 waterfalls and 16 lakes on the Korana River, numerous creeks, and vast forests have made the area a marvellous natural monument. The area was declared a national park in 1949 and has been a UNESCO World Natural Heritage site since 1979. It is possible to tour the park on foot, following the hiking trails and wooden bridges. Alternatively, you can use the tourist train and/or a ship across the largest lake, Kozjak. Over a million people from all over the world visits the park every year.